Finch Auto Group Supports Pride London Festival! Pride London Festival is a non-profit organization that works to organize an annual opportunity to bring together LGBT+ communities and sponsors, through events and activities, which promote unity, inclusion and awareness of sexual gender and diversity! The event happened this year from July 19th – 29th, 2018 and Finch Auto Group has proudly supported the initiatives and is honoured to be involved in such a great community event! 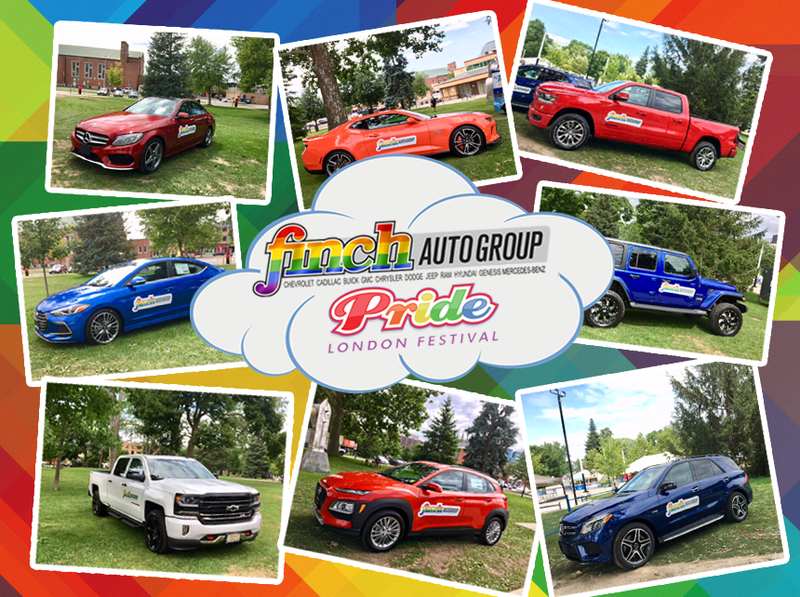 If you were in attendance at any of the festivities, you may have noticed our awesome vehicle line-up covered in our Pride inspired Finch Auto Group logo!